Your fundraiser can be anything you like, from a cake sale to a community sports event, to a trek or charity challenge. Simply pick something you feel inspired to organise and get sponsored or charge an entry fee to raise money for CanalAbility. 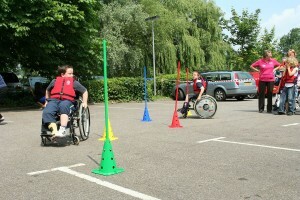 You could even get your whole school involved for those with disabilities. Once you’ve chosen what sort of event you’d like to run, you can set up your own fundraising page on the mydonate website – it’s simple, secure and a great way of collecting sponsorship online. To get started, simply complete the form below so we know what you’re planning and we’ll send you some information to help you with organising your event. Thanks in advance for your support and good luck! Fundraising Plans - Please provide a full description of your fundraising plans and how you will be raising money. If you have any questions, please give us a call in the office on +44 (0)1279 424444 (Mon-Fri, 9.45am – 1.30pm).